When the sun sets on September 4th, the Jewish year moves from 5773 to 5774. Jews follow a calendar that is unlike the Gregorian calendar we follow in which September 5th will still find us in the year 2013. For Jews, the calendar is essentially a lunar calendar so that it can best reflect the seasonal holidays as found in Scripture. Spring festivals and fall harvests are part of God’s edicts to His people and to best obey Him, the Jewish calendar must more closely follow the seasons. The year is based upon time since creation. Even the dreary, rainy Midwest autumn days hold a special place in my heart. They lend themselves perfectly to introspection and the anticipation of renewal and rebirth that often accompanies those times of self-examination. It seems to makes perfect sense, especially to me, to find the Jewish New Year, Rosh Hashana, during autumn. Rosh Hashana is the New Year which begins with a ten day period of prayer, self-examination, and desire to repent and return to God. These ten days end with Yom Kippur (this year it is at sundown on September 13th) which is the holiest day for Jews; it is the day in which the Chosen People ask to be written in the Book of Life. 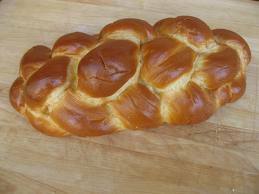 The foods eaten during Rosh Hashana include round challah (bread) which symbolizes the circle of life. A real favorite—and one that has special meaning to me—is eating apples dipped in honey. While this is to symbolize the desire for a blessed and “sweet” year ahead, it more subtly refers back to a line in the Song of Songs 8:6 (Under the apple tree I awakened you). The Song of Songs, written by King Solomon, is often said to be the most beautiful love poem ever written. At its very center is the love that God has for His people. The reason that it is called upon through the consumption of apples dipped in honey during Rosh Hashana is to remind God of that great love. Soften His heart, so to speak. The Jews hope to stir up God’s great mercy by reminding Him of His love for them as written about in Solomon’s poetic tome. The reason I say it is a favorite of mine is because the Song of Songs figures significantly in my fiction book Miriam. I love exploring and sharing the Jewish roots of the Catholic faith in my own work; I feel a great indebtedness to the Jewish people for having preserved the love and worship of the one true God throughout their history as it has been to our great benefit and salvation that they have done so. Weaving the Jewish roots of our faith through my different stories allows me to honor the People of the Book and marvel at how we are so intimately connected to them. Please join me in wishing our Jewish brothers and sisters a “Happy New Year” and consider enjoying an apple dipped in honey to celebrate with them in spirit!